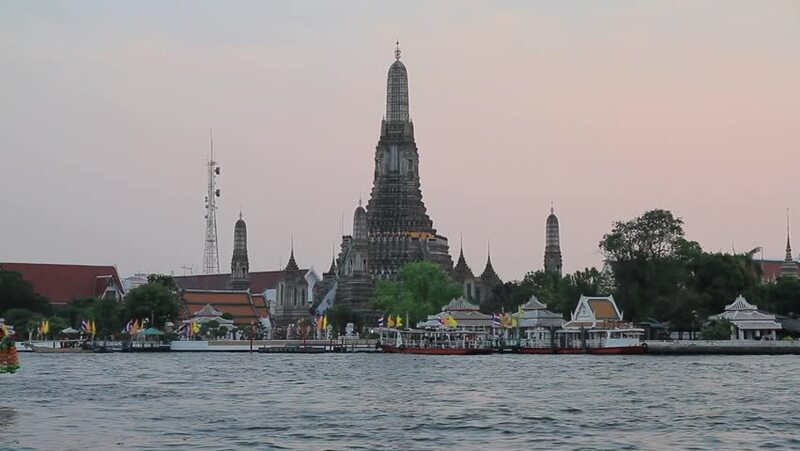 BANGKOK/THAILAND - MARCH 9: Amazing moment of taxi boat near "Wat Arun temple" on chaopraya river March 09 2013. 4k00:23Time Lapse of the Chao Praya river in Bangkok, Thailand. Canon 5D Mk II.